Creating a Group is the first step towards defining the structure of your organisation. To add a group, type a group name in the space provided in the Add new group area and click Save. To permanently delete a group form the system, click Delete. You can add a Service to a group by selecting a group, typing a service name in the space provided in the Add new service area and clicking Save. To permanently delete a service form the system, click Delete. 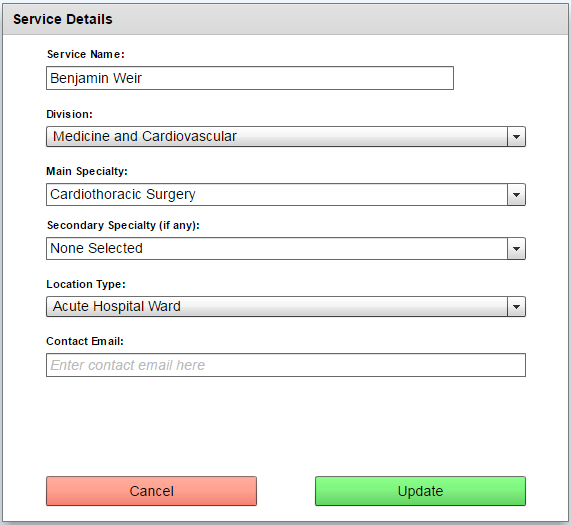 To add key information for a service, click Edit service details. 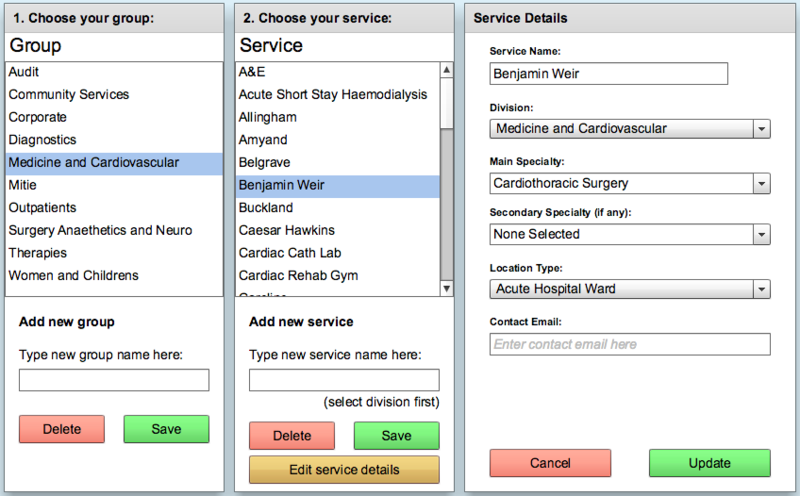 To move a service do a different group, you can change its Division in the Service Details area. From this menu, you can also assign the service with a Main specialty, Secondary Specialty, Location Type and Contact email. By adding this information, you’ll be able to target your surveys and audits at a specific location type (such as outpatients or community services), specialties or groups. Click Save to keep any changes made or click Cancel to prevent these changes form being saved.